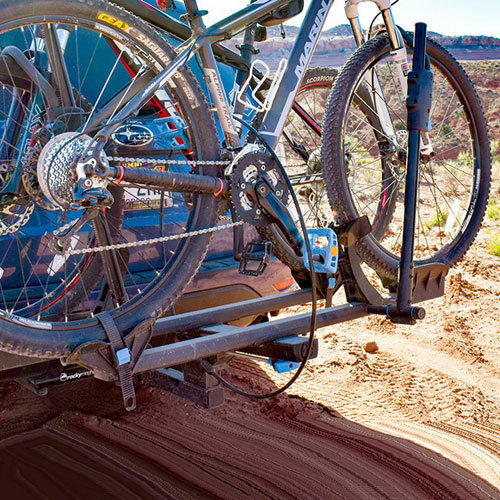 Fits wheel sizes 20" - 29"
The RockyMounts 10007 MonoRail Solo 1 Bike Platform Style Hitch Mounted Bicycle Rack is RockyMount's newest addition to their platform style hitch racks. The MonoRail Solo is a perfect bike rack option for the commuter or rider who only needs to transport a single bike. At 25 lbs, the MonoRail Solo is lightweight, compact and easy to store. 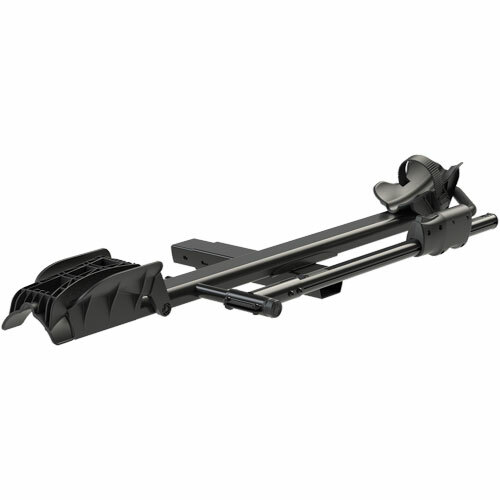 The MonoRail Solo is compatible with 1.25" and 2" trailer hitches. No additional adapters are needed. The MonoRail Solo includes locks and keys for locking the rack to the vehicle and a cable lock for locking your bike to the rack. RockyMounts anti-wobble locking hitch bolt ensures a strong, tight and secure fit. Using the Quick Release Handle, the MonoRail Solo tilts away from your vehicle for convenient hatch or trunk access, or, may be folded for convenient storage. 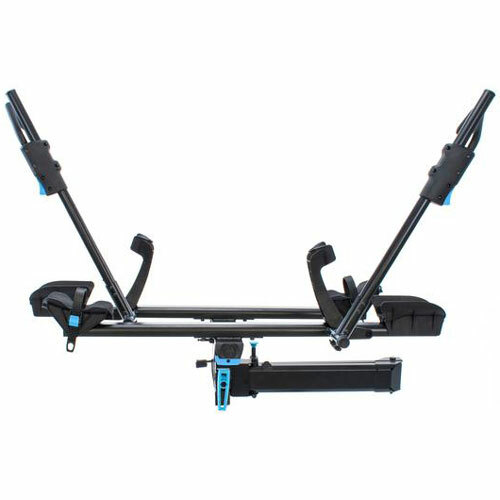 The Quick Release Handle allows convenient, full accessibility to the rear hatch of your vehicle by simply tilting the MonoRail Solo away from the vehicle when the bikes are unloaded. When the MonoRail Solo is not being used, it folds-up to minimize the profile of the rack off the back of the vehicle or to save space when stowed. The MonoRail Solo is able to transport 1 bike up to 60 lbs. With the addition of RockyMounts 10005 MonoRail 1 Bike Add-on Accessory (sold separately see below) you can transform the MonoRail into a 2 bike rack system. 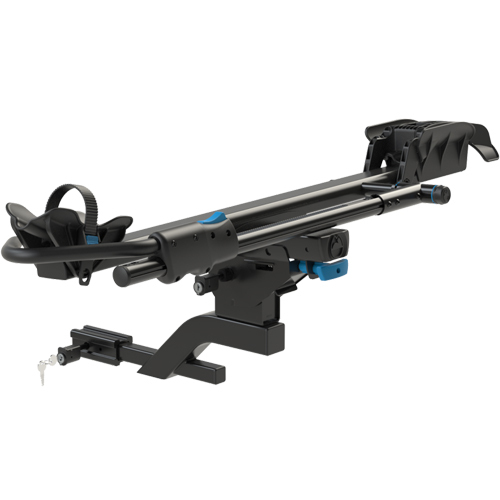 The Solo is incredibly easy to load and unload using RockyMounts no-frame-contact Ratcheting Hook Arms. The Monorail Ratcheting Arms accommodate most bikes regardless of the frame design, suspension type, axle style or wheel size. The MonoRail Solo fits up to 48 inch wheelbases, tire sizes ranging from 20 to 29 inches, and fat tires up to 5 inches wide. Wheel straps are used to secure your bike's back wheels to the tray.